As a parent when it comes to car safety with your children you obviously want the best for them. That first drive home from the hospital with your precious newborn cargo will make 30 mph feel like 100 mph. A nerve wrecking journey fraught with checking on your newborn, checking that hubby is really only doing 30 mph and holding your c-section scar every time you hit a bump in the road. Fast forward a few years and the days of newborn carriers and five-point harnesses are left behind. However, you still want car travel to be as safe as possible for your growing child. Even though they might believe that they are too grown up to sitting in a car seat. The reasoning of car safety, crash dummy testing etc all falls on deaf ears to a seven-year-old. However, the lure of a Maxi-Cosi Limited Edition Star Wars Rodi car seat speaks his language. All of a sudden sitting in a car seat isn’t all that bad and actually ‘it’s just like sitting in my own armchair but in the car‘ is declared as we head off on our travels. Tigger transferred over to a high back booster seat without a 5-point harness relatively late compared to his peers as he is just a dot of a boy. Although he is seven and his height is more or less average for his peer group his weight is at the lower end of the scale. 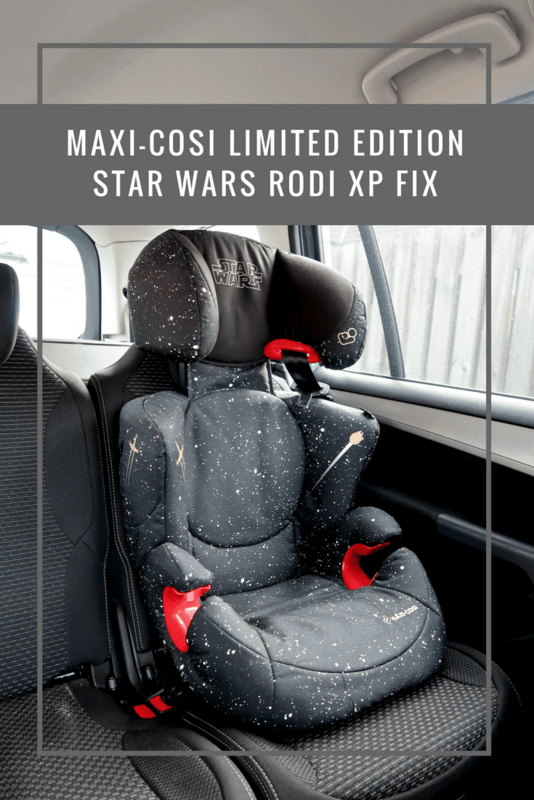 The Maxi-Cosi Star Wars Rodi collection features a range of different car seats depending on the make and model of your car. We have a Citroen C4 Grand Picasso which has three ISOFIX points in the second row. As the Maxi-Cosi Rodi is a slim fitting design you could easily get three of this car seat side by side in the car – which is great news as Piglet is still in a Stage 1 car seat. Roo usually draws the short straw and has to sit in the middle squished between to car seats, however, she has plenty of room thanks to the Rodi. Installing the Maxi-Cosi Star Wars Rodi XP Fix into the car is so simple I think even Roo and possibly Tigger could manage it (obviously with supervision and checked before using). The base has two sliding ISOFIX points which you depress the button to slide backwards. These then click into the ISOFIX points within your car. The slide the car seat back firmly against the back of the seat and rock to ensure you have a secure fit and connection. Manoeuvre the seat belt into the shoulder guide, adjust the seat height so that the seat belt guide is level with the shoulders. Click the seat belt and off you go! We’ve (Tigger) been using the Maxi-Cosi Star Wars Rodi XP Fix for around two months. In that time we’ve completed the usually everyday shopping trips etc. but has also seen a six-hour drive up to see Granny. In which Tigger never complained that he was uncomfortable, he even fell asleep on the journey (although he would never admit to this!). The sleek Star Wars design scattered with galaxy stars and the iconic Star Wars logo emblazoned on the headrest. Providing all the safety features required for a high back booster car seat. Whilst looking amazing and encouraging children to climb in, take a seat, and head off to a galaxy far, far away. RodiFix AirProtect: Easy one-click ISOFIX installation system, 2 recline positions offer comfort as your child grows, specially designed to offer extra protection. Rodi XP FIX: Easy ISOFIX installation, side protection system offers great safety. Rodi XP: Side Protection System offers excellent protection, lightweight and easy to transfer between cars. Rodi AirProtect: AirProtect side impact technology to offer best protection possible, multiple recline positions, lightweight shell for quick and easy transfer between cars. 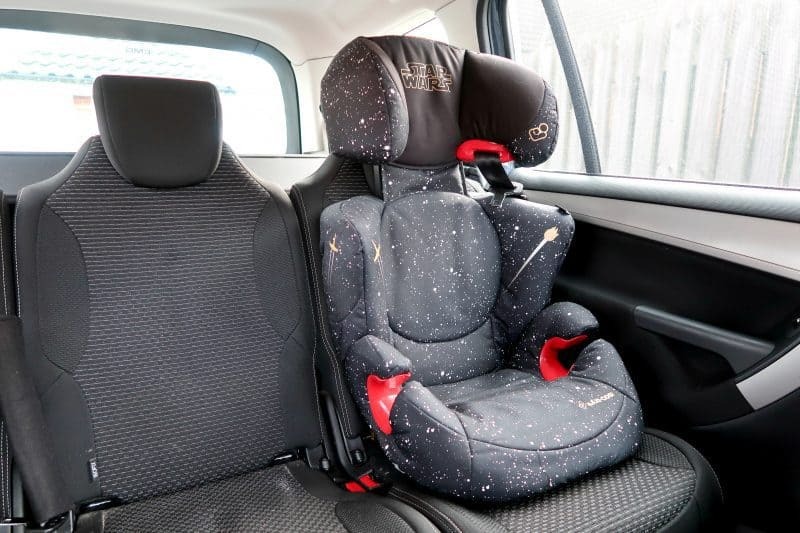 The Rodi Star Wars limited edition car seats are available from £115 from all leading car seat retailers. 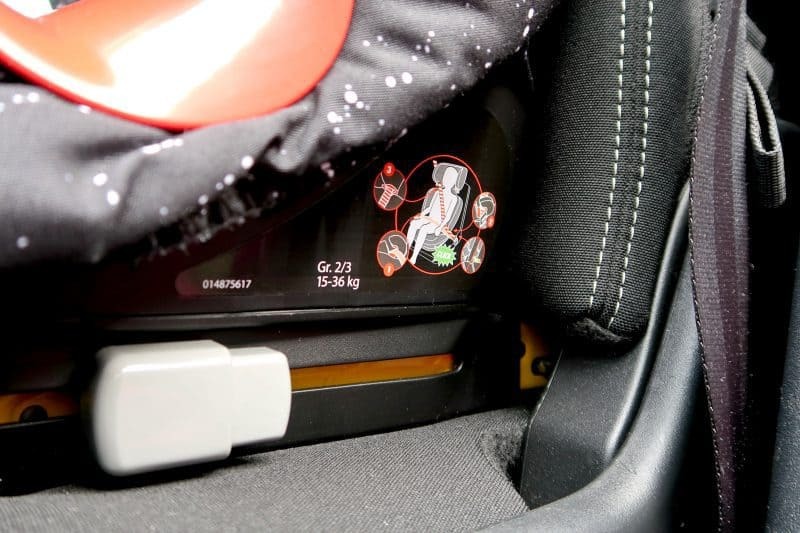 As with all Maxi-Cosi products, the Star Wars themed Rodi car seats are designed to carry the future happily into life. The Maxi-Cosi trusted brand and products were born in 1984. Since then, Maxi-Cosi has carried 50 million babies home from the hospital. To learn more about Maxi-Cosi’s products, please visit: maxi-cosi.com.